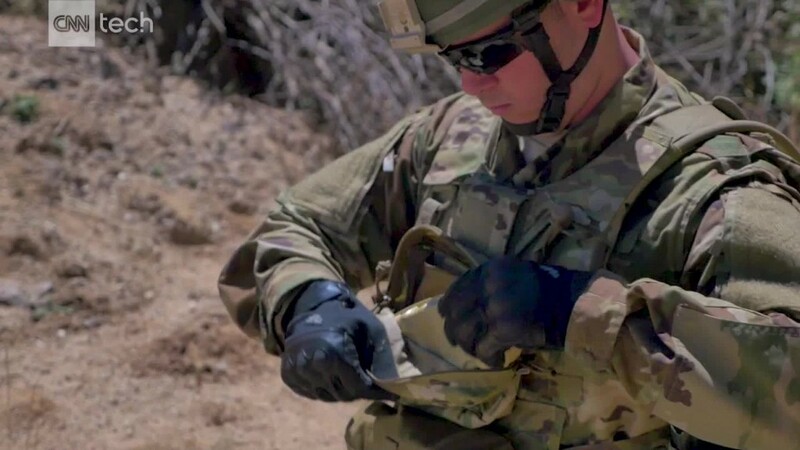 A mini-drone in every soldier's pocket? The U.S. military, which for decades has been untouchable from aerial attacks, faces a new foe that could change everything -- small drones. Military historians have long pointed to the Korean War as the last time U.S. ground troops were killed by an enemy attack from the air. American air superiority has been such that ground troops haven't had to worry about looking to the skies. Now that's changing. ISIS, for example, hasn't developed billion-dollar fighter jets, but has used small drones that can cost under $1,000 and be bought at your neighborhood electronics store. The drones can be used to drop explosives, provide surveillance and improve the targeting of rockets and mortars, according to a spokesman at DIUx. DIUx, which is essentially the Pentagon's Silicon Valley office, has signed a $1.5 million contract with startup SkySafe to develop technology to protect soldiers from small drones. Today, it's extremely difficult for small vehicles and troops that have exited those vehicles on foot to counter small drones, according to the DIUx spokesman. 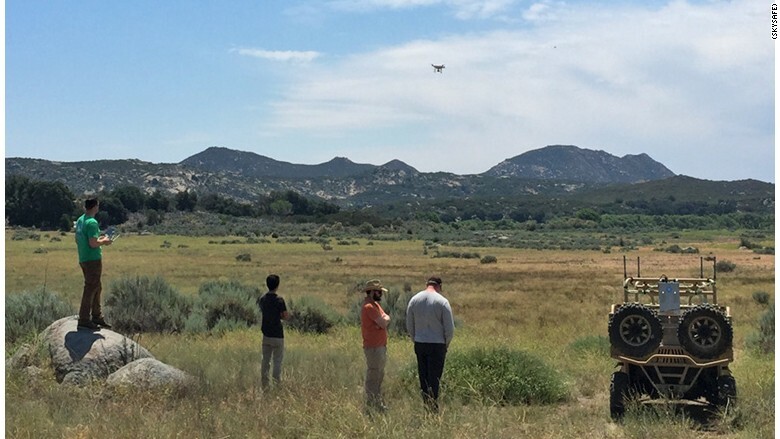 SkySafe, a San Diego startup, disables rogue drones. It uses radio frequency technology to bring unwanted drones crashing to the ground. In some cases, it can force the drone to automatically return to its takeoff point, a common feature available on commercial drones. 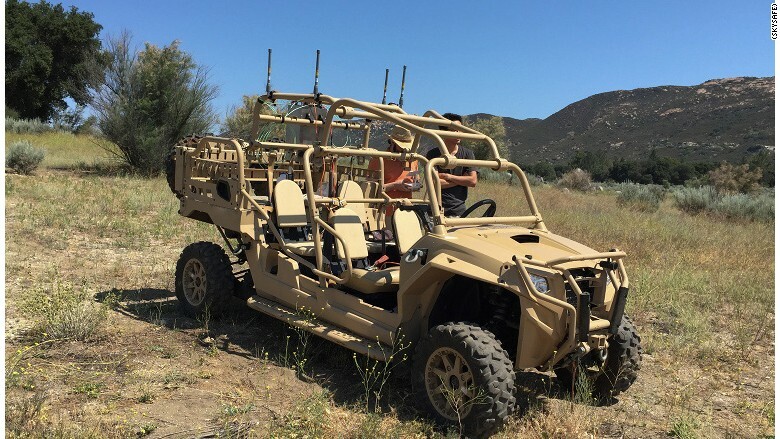 Here SkySafe is installed on a Polaris M-RZR. SkySafe does this by reverse engineering the communications and telemetry links that are unique to each model of drone. Its founders met as MIT classmates and previously worked on computer security vulnerabilities. SkySafe announced Thursday it's closed an $11.5 million funding round, led by one of Silicon Valley's leading venture capital firms, Andreessen Horowitz. The military isn't using the technology in combat yet. SkySafe is currently working with Naval Special Warfare to do testing. They plan to have a prototype ready for the field in 2018. DIUx is also working with Sensofusion, another company working to detect and halt unwanted drones. These technologies will likely become common outside of battlefields too. Prisons, sports stadiums, nuclear plants and government buildings are among those interested in thwarting unwanted drones overhead. "We want drones to be utilized by people and companies to realize their full potential," SkySafe CEO Grant Jordan told CNN Tech. "We want to make sure that public safety and privacy is intact."